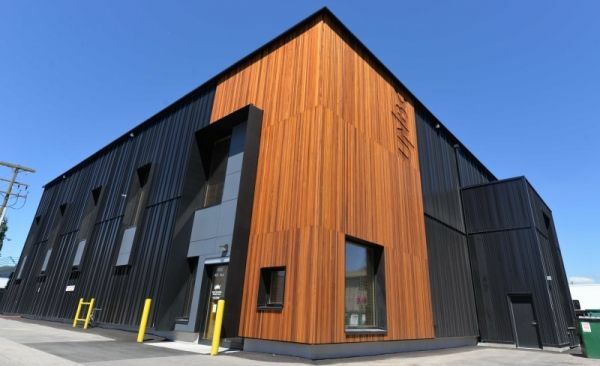 Building an ultra-energy efficient industrial-style building in a northern climate is no easy task, but the Wood Innovation Research Laboratory (WIRL) stands as proof it can be done. Home to researchers seeking to discover novel materials and techniques for the next generation of tall wood buildings, the laboratory is itself an engineering marvel. It is a certified Passive House, the first building of its type in North America to exceed the exacting international standard. Certified Passive House buildings use up to 90 per cent less energy for heating and cooling when compared with standard buildings and use up to 70 per cent less energy overall. Continue reading at University of Northern British Columbia. Image via University of Northern British Columbia.